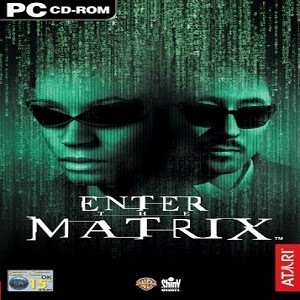 Enter the Matrix is the first video game based on The Matrix series of films. Its story was concurrent with that of The Matrix Reloaded, and featured over an hour of original footage, directed by the The Wachowski Brothers and starring the cast of the film trilogy, produced exclusively for the game. It sold one million copies in its first eighteen days of release, 2.5 million over the first six weeks, and ultimately 5 million copies. Distributor: Warner Bros. Interactive Entertainment. Highly Compressed To 205 MB. 1. First Open - "Enter The Matrix.exe" Setup File. No background music, what should I do? If you want to uninstall any game of alltypehacks, then just remove the folder of the game. That's all. Thanks for this but no in-game audio for cinematics just gunshots etc. Any advice how to rectify? That game is very boring I finished it. hy admin plz give me the torrent link... i can't download the game from upper links. hy bro no back round music.. how to fix?? Sounds will be added soon :) We will give you a link to download only sounds files don't worry. New uploads are on the way. Boss i really appreciate your effort in providing this game, I love it. Direct Link working fine. Please check again.